Quick and healthy snacks on the go can make your lives so much easier when you have a busy schedule! It keeps you from having to stop at a fast food window, plus you can ensure that your kids are getting healthy snacks! I find that it’s easier to write out and plan a week’s worth of breakfasts, lunches, dinners, and include snacks too! That way I don’t have to guess and stand there at the cabinet or fridge trying to decide what to serve. eMeals makes this process super duper easy for me. Have you heard of them? 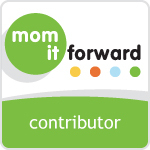 You must check them out…they’re my #1 source for saving money on my grocery bill (besides coupons of course). First of all, how does having a weekly meal plan with a coordinating shopping list sent to you sound? Already made, with no work on your part! Who wouldn’t love that?! That is exactly what eMeals does for me, each and every week. They offer many different meal plan options. You can choose from the classic meal plan, paleo, gluten free, vegan and more. eMeals really focuses on creating different and delicious meal plans using common ingredients. They also plan meals based on items that are often on sale or in season. They know that in season produce is cheaper than out of season produce. You can even choose your own store to shop at, and eMeals will send you your shopping list with prices based on the store you choose. You can opt for Walmart, Kroger, Target, Aldi, Publix, Whole Foods and more! This service saves me SO much time and money! I always stick to my weekly meal plan and shopping list, and then just buy the occasional snack foods and things that aren’t on the list that we need in addition. Dave Ramsey recommends eMeals to help families who are budgeting and saving money! I can say first hand that it helps us save money each and every week and I wouldn’t know what I’d do without them! Their year’s subscription is just $5 per month!! That works out to roughly just $1.25 a week!! Make your own trail mix by combining raisins, freeze-dried fruits, nuts, sunflower seeds, and whole grain cereal. Serve apple slices with string cheese and whole grain crackers. Make half a sandwich with whole grain bread, peanut butter, and banana slices. Serve hummus with whole wheat pita and baby carrots for dipping. Build your own yogurt parfaits with low fat yogurt, fresh berries, and whole grain granola. What sorts of healthy snacks do you give your kids? Preferably healthy snacks that travel well?! Leave us a comment, we’d love to hear your snack ideas!! This is a great idea! We love eMeals!